The sensor includes a 1½in 16A process connection that conforms to ASME BPE-2007 for easy installation using industry standard gaskets and clamps. 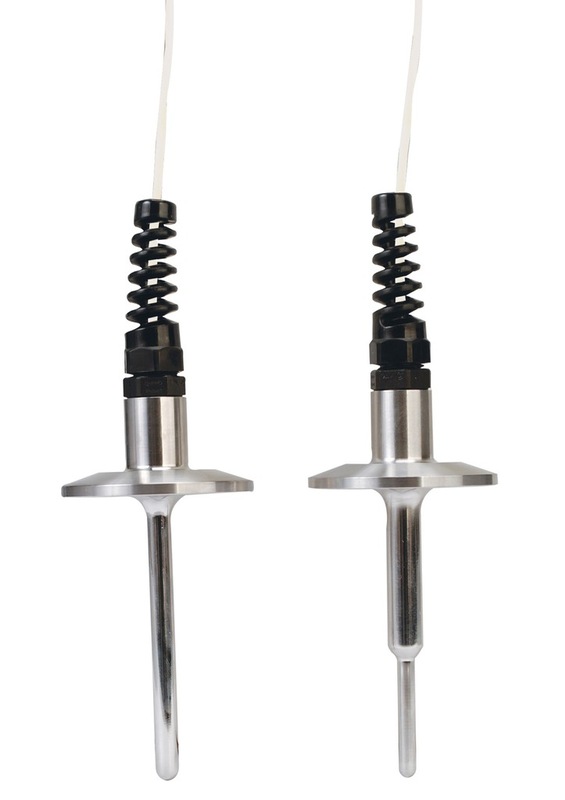 Standard duty sensors are available with ¼in diameter probes,and heavy duty sensors are available with a stepped 3/8 to 3/16in diameter probe. This sensor is provided with a 120in long ,4-conductor, #26 AWG stranded nickel plated copper PFA insulated and jacketed cable with a strain relief for convenient connection to control or monitor equipment.